Either Contra or Punch Out! for the NES. I support various charities hosted through my employer and also donate to charities that my friends may be participating in. My friend told me about Extra Life 6 years ago, and I’ve never looked back. This organization puts my passion for my hobby to generous use. I usually try to promote something regarding my beard. Whether it be a funny design or a ‘Save or Shave’ campaign, people like to see me looking funnier than usual. Being able to participate in Extra Life United and getting to meet the Champion kids! It really puts into perspective who you are playing all these games for. Throughout my Extra Life tenure, I have raised (won, mostly) over $30,000 for Children’s Hospital of Philadelphia. I learned from the hospital director that all of this money that we raise goes to the child-life services program, which can range from art therapy to pet therapy to game therapy for the kids. This means that my playing games allows these kids to play games themselves! Gaming comes full circle, and it’s something anyone can enjoy! Coming in 3rd overall at ELU 2016 and 5th overall at ELU 2017! And knocking out the #1 seed in the Top 16 Finals (Sorry Loomin!). Thank you Dan! 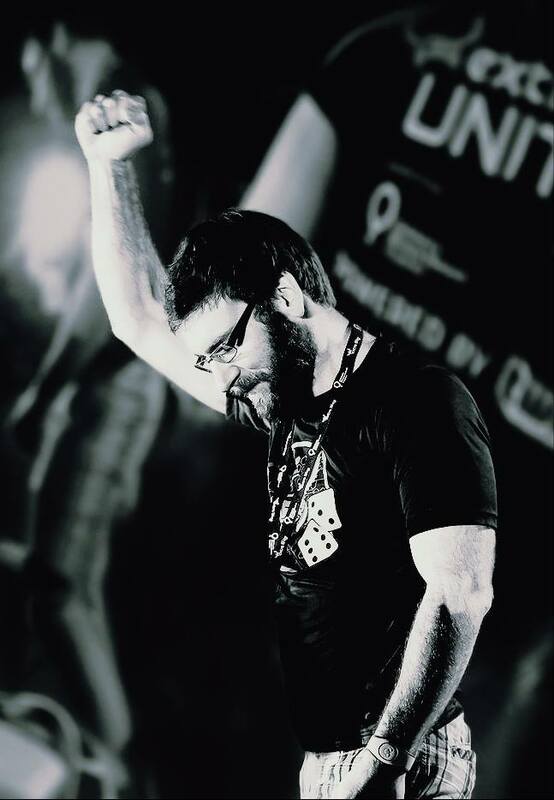 You can support Dan and his endeavors with gaming for charity on his Extra Life participant page.